Throughout its more than 100-year history, the FBI has been primarily associated with combating and solving crimes. One important element of its success has been the ability of its agents and fingerprint examiners to identify criminals by their fingerprints. 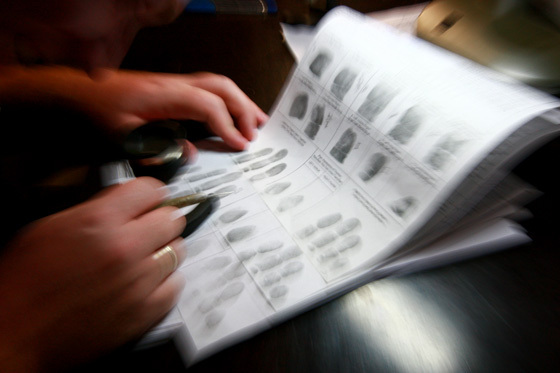 In 1924, the United States Congress passed an act to establish the Identification Division of the Bureau of Investigation (now known as the FBI) as the national repository for criminal fingerprints in Washington, D.C. A civilian fingerprint file, containing the prints of government applicants and employees, was added in 1933. Those fingerprint files remained in Washington, D.C. until the mid-1990s when the Identification Division was renamed the Criminal Justice Information Services (CJIS) Division, and the FBI began transferring its fingerprint identification services to Clarksburg, West Virginia. In 1995, shortly after the fingerprint files were transferred to West Virginia, the CJIS Division began actively promoting child identification and safety. The program started with the Community Fingerprinting Program, in which a small group of volunteers from the CJIS Division’s Community Outreach Program traveled to various venues to fingerprint children (ages 5-17) in the surrounding communities. Today, the Community Fingerprinting Program has taken its services “high tech” as technology has advanced. Instead of paper and ink, CJIS Division staff use portable digital scanners to capture fingerprints, and digital cameras to take a picture of each child. Cards with each child’s fingerprints and photo incorporated are printed on portable printers and provided to parents and guardians. Since January 2008, when these portable systems were first used, volunteers have digitally fingerprinted nearly 25,000 children. Since 2002, FBI employees have distributed more than 1.4 million inkless I.D. kits from the National Child Identification Program at college football games and other community outreach events across the United States. These kits are a valuable tool for parents and guardians to use for collecting and maintaining vital information about their child. The emphasis on child safety expanded in January 2002, when on behalf of the FBI, the CJIS Division’s Community Outreach Program began a partnership with the American Football Coaches Association. Through this partnership CJIS employees distribute inkless I.D. kits from the National Child Identification Program at college football games and other outreach events. The I.D. kits include a fingerprint card, a black image applicator to capture the inkless fingerprints, and sterile swabs to collect a DNA sample from the child. The kit provides directions on how to properly take the child’s fingerprints and a DNA sample. It also contains spaces for a physical description of the child, information about the child’s physicians, and a recent photograph of the child. CJIS Division staff recommend that parents and guardians update their child’s information whenever necessary and replace the child’s photograph in the kit every 6 months, or at least once a year when their child is photographed for school. CJIS’ outreach coordinators encourage the Community Outreach Programs at all of the FBI’s 56 field offices and at resident agencies (smaller offices within the field offices’ jurisdictions) to get involved in this partnership with college and professional football coaches in their area. Staff with the CJIS Division’s Community Outreach Program mail the I.D. kits to the field offices or resident agencies so that they can distribute the kits in their own communities. To date, CJIS Division staff have distributed more than 250,000 I.D. 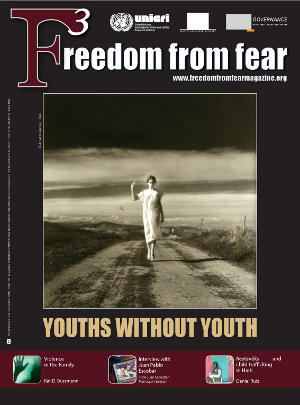 kits at schools, malls, child care facilities, fairs, festivals, and sporting events throughout West Virginia. Nationwide, FBI employees have distributed more than 1.4 million kits. For more information on the I.D. kits, please go to www.childidprogram.com. A volunteer from the FBI’s CJIS Division in Clarksburg, West Virginia, fingerprints a child on a digital scanner as part of the Community Fingerprinting Program. 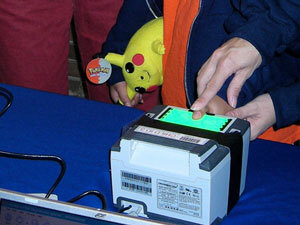 Since January 2008, CJIS volunteers have digitally fingerprinted nearly 25,000 children as part of this program. What started out as a small group of employees assisted by local high school students has grown to 150 employees throughout the CJIS Division helping children with fingerprinting through the Community Fingerprinting Program and distribution of child I.D. kits through the National Child Identification Program. As a result, these programs have evolved into the most requested public programs at the FBI. Through both programs, it is common for staff to provide fingerprint services or distribute I.D. kits at two separate events each weekend; employees with the program attend an average of 80 to 85 events per year in surrounding communities and throughout the Nation. By providing completed fingerprint cards and the materials needed to collect valuable information about their child, these devoted volunteers equip parents and guardians with a powerful tool. Such preparation could save precious time and be a great help to law enforcement or other authorities should the need arise. The FBI’s enthusiastic support of these programs demonstrates its continued commitment to combat crimes against children and promote child safety. Stephen G. Fischer Jr. is Chief – Multimedia Productions, FBI – CJIS Division. Mr. Fischer has served with the FBI for over 25 years. He is an FBI Spokesman, responsible for coordination of all public affairs and community relations for the Criminal Justice Information Services Division, the FBI’s largest Division, located in Clarksburg, West Virginia.